So this week marked the start of the new school year for many of us out there. Friends who are teachers are returning to the classroom after a fun-filled summer and already counting down the days until half term. Children are chomping at the bit, excited to be moving up a year, onwards and upwards to bigger and brighter things. 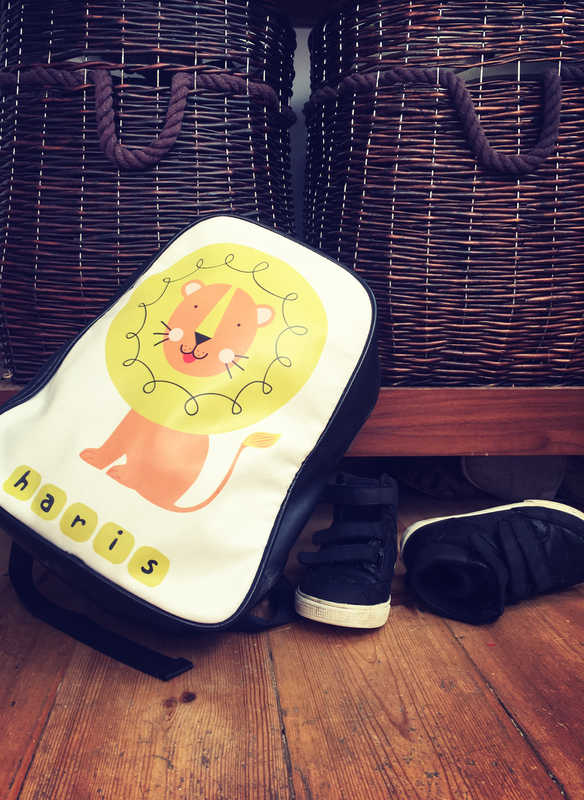 Some of them are taking their first little steps into big school, teary-eyed mummies waving them off at the gate. And for me? This week was, well, just another week. Monday – Asda delivery, park, beans on toast, bed. And with so many ridiculously cute ‘uniform’ and ‘off to pre school’ pics on social media, I have to admit to feeling the return of the mama-guilt. I’m now halfway through my maternity year off, looking after both my children full time. We reluctantly had to take H out of his wonderful nursery when baby L was just over a month old, our bank balances just couldn’t stretch to cover it. And although I was so excited to spend some quality time with H, I was conscious that he was also going to be missing out on those all-important social skills and playtimes that come from being in a larger group of your peers. And whilst they’re both with me at home, I’m trying to give my eldest the best mix of physical, creative, imaginative and messy play (as you can probably tell from my Instagram). I’m trying to involve him in as many sensory activities as I can along with his baby brother. I’m going to playgroups and giving him the chance to have social interaction, even if it just for an hour or so. But I have to admit when I settle down in the evenings, utterly exhausted, wine in hand, falling asleep on the sofa 20 mins into a film, I am constantly wondering – am I doing enough? What else is my son missing out on from not being at nursery with his friends? Should he know all the alphabet? (The real one, not just the burping version…) Is it ok he’s still rubbish at sharing his toys? How high should he be counting now? Should I be teaching him about different religions and cultures? Am I alone here? Do I sound crazy? How many of us mamas are asking ourselves if we are doing enough? When we’re busy on our hands and knees rolling monster trucks around the kitchen floor. When we’re standing over four simultaneously boiling saucepans of veg ready to blitz and blend, getting a DIY facial in the process. When we really want to sit and have a cuppa but we’re quietly hovering over napping children cutting out multi-coloured felt shapes so we can make a homemade birthday card for Daddy. And it’s not just us SAHMs riddled with this mama-guilt I bet! What about when we’re holding down a full time job and trying to jam pack the weekends full of quality family time? When we’re up far too late ironing uniforms and making school lunches for tomorrow, cutting crusts off the bread and sneakily hiding cucumber within the layers of ham. So this week, I am going to try and give myself a new start. A new goal. To stop worrying about not doing enough for my kids. About not being enough. I’m going to start telling myself that I’m doing a f*cking great job. And I’m doing it most days on hardly any sleep, and winging it without a bloody clue, fueled by coffee and the promise of a glass (ok, bottle) of wine later. And so I encourage all my other mummy friends out there who are also feeling the mama-guilt this week for whatever reason, to just stop, and give yourself a pat on the back. Now go and drink your Friday wine. You deserve it. I’ll raise mine to you now. Previous Post Hi My Name is Sarah and I make lots of lists.